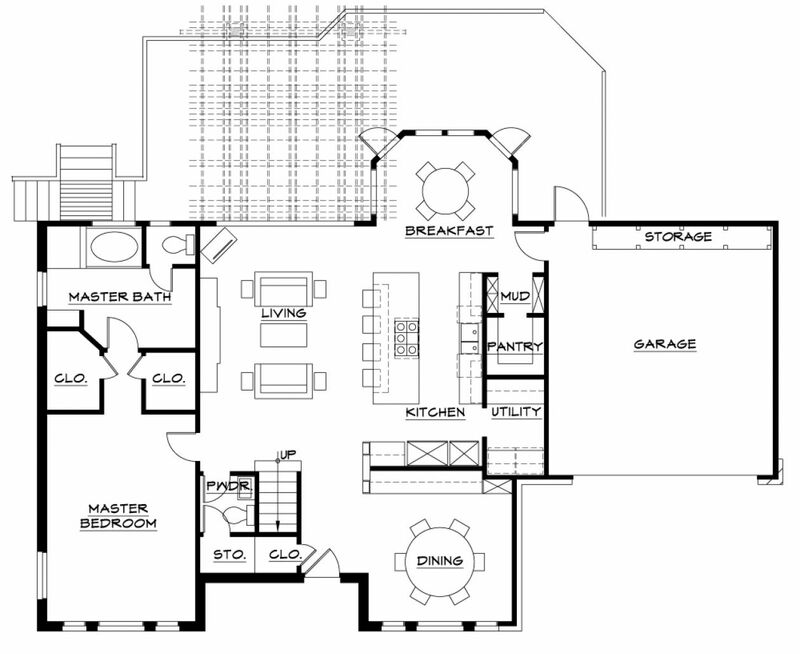 What do you do with a home that has a two-story living room separated from the kitchen by a solid wall and is similarly closed off from views to the spacious back yard? That was the challenge posed by the owners of this 90’s era builder home. Their goals were to provide greater connectivity, open the public areas to exterior views, and update the look of their home to complement their contemporary art and furnishings. reflects the contemporary feel the owners love, and invites in natural light from the backyard. Increased outdoor access and large picture windows highlight the previously hidden view, now visible from all angles in this airy, high-end modern space. Clean lines and modern finishes throughout the living room blend in with the owner’s contemporary art and furnishings. Architectural lighting details in the ceiling give the space some interest and character, but dark wood throughout gives the space a sophisticated elegance. The open kitchen is anchored by a large central island which houses both the cooktop and bar seating. Dark-stained cabinets keep this modern space feeling warm and inviting. The living room wall framing was reduced to the absolute minimum in order to maximize the size of the windows and a connection to the exterior. On the second floor, the space recovered from the double height living room is now an open TV/media room with a loft-like feel and a view to the exterior. A bedroom at the front of the house was converted into a shared office space with all new maple cabinetry and plentiful bookcases. The hall bath on this floor was also updated with new finishes, tile, maple cabinets, and plumbing. The existing kitchen in this home was dark and dated. 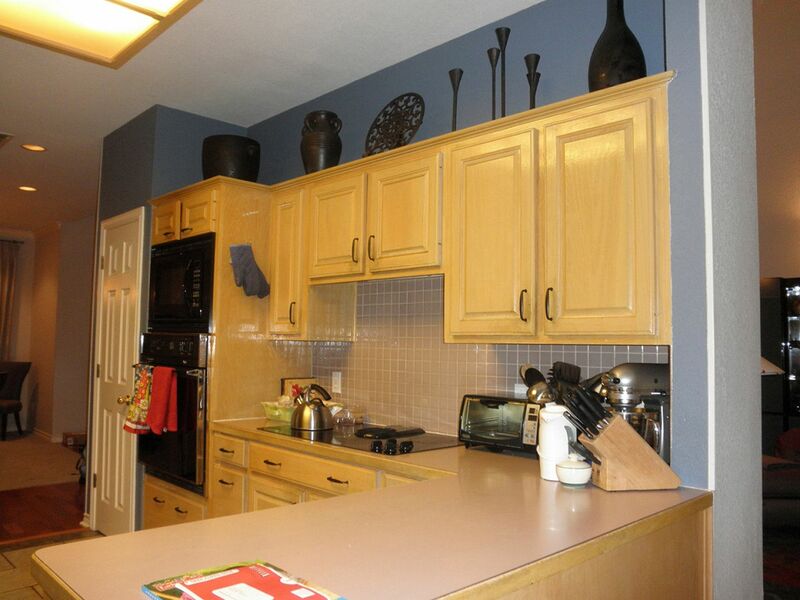 With builder-grade cabinets and appliances, the space wasn’t an appealing place to spend time. The closed-off layout limited natural light from flowing throughout the house, and prevented easy interaction between people in the kitchen and living room. carefully detailed home that provides a fitting backdrop for the owners’ art and collectibles.